Detailed mineralogical and laser ablation-inductively coupled plasma-mass spectrometry studies have revealed the physical manifestation of the platinum-group elements (PGE) within the Platreef at Overysel, northern Bushveld Complex, South Africa. The PGE in the Platreef were originally concentrated in an immiscible sulfide liquid along with semi-metals such as Bi and Te. As the sulfide liquid began to crystallize, virtually all the Os, Ir, Ru and Rh partitioned into monosulfide solid solution (mss), which on further cooling, exsolved to form pyrrhotite and pentlandite with Os, Ir and Ru remaining in solid solution in both phases with Rh prefentially partitioning into pentlandite. Platinum, some Pd and Au were concentrated in the residual sulfide liquid after mss crystallization, and were then concentrated in an immiscible late stage melt along with semi metals, which was expelled to the grain boundaries during crystallization of intermediate solid solution (iss) to form Pt and Pd tellurides and electrum around the margins of the sulfide grains. Tiny droplets of this melt trapped in the crystallizing mss and iss cooled to form Pt–Bi–Te microinclusions in all sulfide phases, whilst the excess Pd was accommodated in solid solution in pentlandite. Minor redistribution and recrystallization by hydrothermal fluids occurred around xenoliths and at the very base of the mineralized zone within the footwall, however, the overall lack of secondary alteration coupled with the volatile-poor nature of the gneissic footwall have allowed the preservation of what may be the most ‘primary’ style of Platreef mineralization. The lack of PGM inclusions within early liquidus phases suggests very early sulfur saturation in the Platreef, lending support to theories involving S saturation occurring prior to intrusion of the Platreef, possibly within a staging chamber. 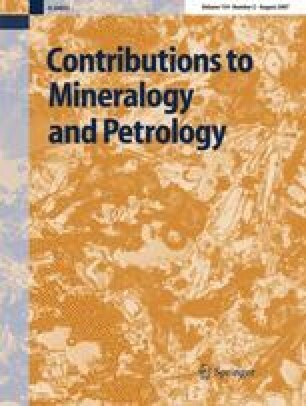 The authors would like to thank the management of Anglo Platinum for giving permission to publish this work, and for allowing access to core from Overysel and to the Sandsloot mine. David Holwell’s Ph.D. research is funded by the Natural Environment Research Council and supported by Anglo Platinum through Industrial CASE project (NER/S/C/2003/11952). Thanks to Jay Cockayne for proof reading the manuscript and constructive reviews by Chris Ballhaus and an anonymous referee are greatly acknowledged in improving the quality and focus of the manuscript.